(GWINNETT-METRO ATLANTA) January 28, 2019 – Partnership Gwinnett welcomed Gwinnett County’s newly relocated and expanded businesses at the annual New Company Reception Thursday evening. The event is designed to honor and recognize the companies for their growth, success and investment in the community. The reception was attended by public and private Partnership Gwinnett investors, as well as representatives from the new and expanding Gwinnett organizations. 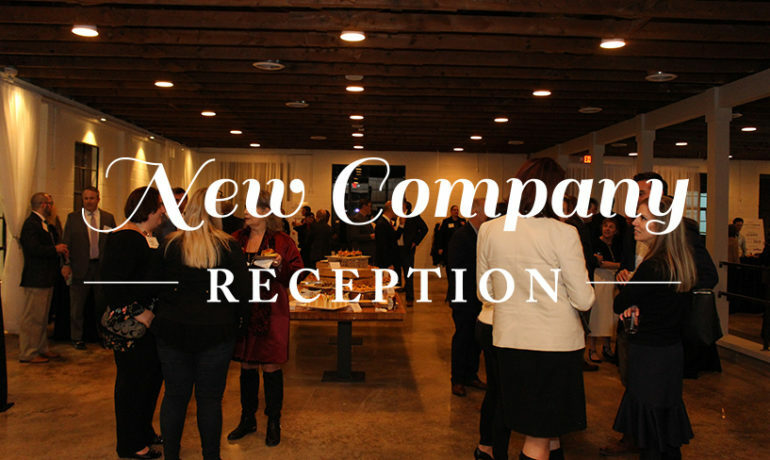 The New Company Reception, which took place at Laundry Events in Lawrenceville, included representatives from Convergint Technologies, Gezolan, Hapag-Lloyd, OneLogin, TTEC and many more. The reception provided the new companies a platform to share the key factors behind their expansion or relocation to Gwinnett, as well as the opportunity to meet both public and private partners of Partnership Gwinnett. Several non-profit organizations were also in attendance to welcome Gwinnett’s newest companies; representatives from the Gwinnett Coalition for Health & Human Services, Gwinnett County Public Schools Foundation, Georgia Commute Options and more had the opportunity to establish relationships with the new companies. Focused on recruiting, retaining and expanding companies in Gwinnett, Partnership Gwinnett works daily to support and promote businesses in the County’s five targeted industries: Advanced Manufacturing, Corporate Headquarters/Professional Services, Life Sciences and Services, Information Technology and Supply Chain Management. Partnership Gwinnett is a public-private initiative dedicated to bringing new jobs and capital investment to Gwinnett County, Georgia. Since 2006, Partnership Gwinnett has worked with its local partners to attract and retain jobs, cultivate capital investment, support educational institutions, foster workforce development and contribute to the exceptional quality of life found in Gwinnett. Fueled by the support of over one hundred companies, municipalities, Gwinnett County, K-12 and higher education systems, the mission of Partnership Gwinnett is to strengthen the community’s diverse economy to compete in the global marketplace and position Gwinnett as the premiere place to live, work and play.